On his left wrist, it’ll be just above his wedding ring. Most people have baggage from their past relationships, but few have baggage as visible as Justin Bieber’s. 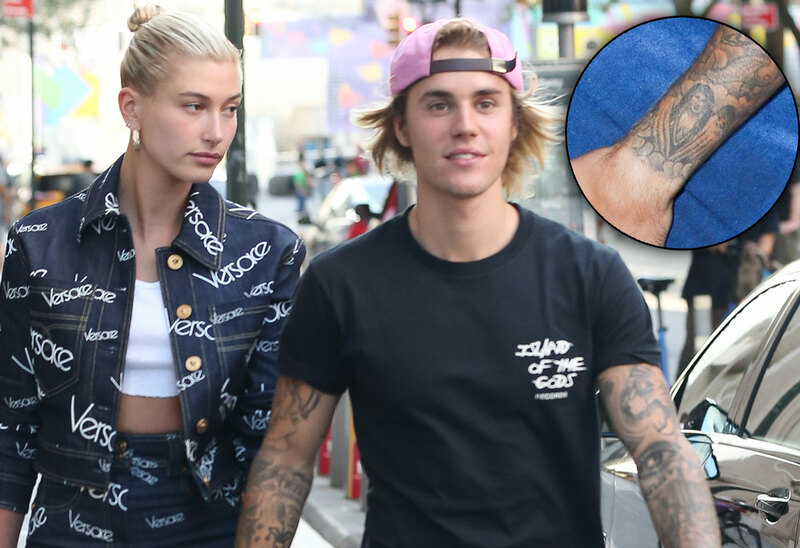 Eagle-eyed fans noticed that despite the ring he just slipped on Hailey Baldwin’s finger, he’s still rocking his Selena Gomez tattoo. Click through the gallery for photos of this awkward art, and details on what Justin’s considering doing to cover it up. Justin and Selena were linked together all the way back in 2010. He made their love official — and permanent — in April 2013, when he got a tattoo of the “Come & Get It” singer wearing angel wings on his left wrist. He was 19 at the time. The celebrity pair continued to date on and off until this past May, when Bieber reunited with another ex, Hailey. Alas, the “As Long As You Love Me” crooner found that his ink was more permanent than his love. The Canadian told GQ in 2016 that he tried to cover the art with some shading, but that everyone still knows it’s Selena. It doesn’t seem that he went for a more drastic cover job, or laser removal, before proposing to the supermodel. In the photos he posted to announce the engagement, it’s completely visible under his bracelet. If he doesn’t get the image of the “Love You Like A Love Song” songstress removed, his new bride might feel awkward on this big day. She’ll put his wedding ring on while making eye contact with Selena’s visage! Maybe this is the sort of thing they’ll talk about during their Hillsong-mandated premarital conseling. Should Justin cover his Selena Gomez tattoo before tying the knot with Hailey? Let us know in the comments!